This morning I was scanning in some old family pictures and documents. I had some old pictures of my family and my dad also had some of his old report cards and World War II ration books. Normally, I wouldn't share these with the public, but I thought the messages on them were so pertinent to a lot of the conversations around blogland that I couldn't keep them to myself. 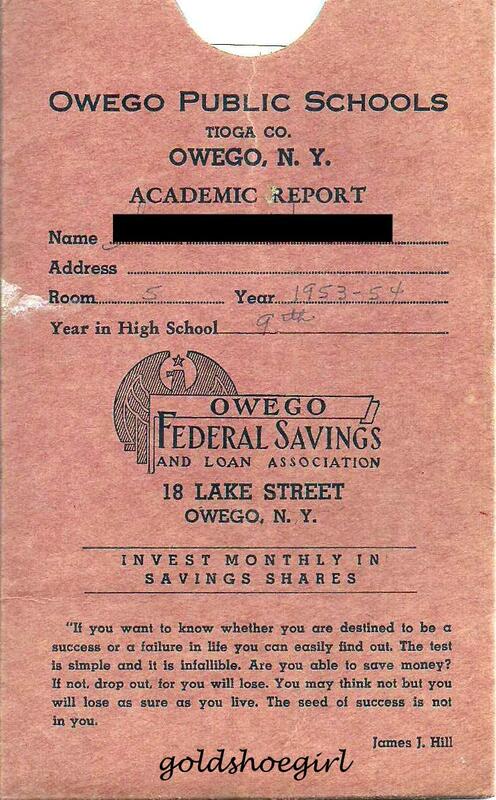 This first picture is of my dad's report card from 1955. What you are seeing is actually the front of the envelope. Each subject area had it's own small slip of paper inside the envelope. It was pretty neat to see all of my dad's grades and how the teachers did not even put any comments beside the grade. Plus they were all just numbers. They didn't mess around with the letters or other such things we use today. Most interesting was the quote at the bottom of the envelope. I enlarged it below. Now can you imagine if you read that at least 4 times a year for 4 years. Granted, the envelopes were obviously paid for by the bank and they of course want people to save money but what a great message...save your money or fail. This is James J. Hill. Kind of a handsome fellow for his time. I was curious about who was James J. Hill was so I googled him. Well, he was a famous railroad tycoon. Rags to riches - serious riches guy. You can read the entire article on Wikipedia, but he was so famous in his day that they believe he was referred to in The Great Gatsby and that he inspired a character in the novel Atlas Shrugged . This is a picture of his house, make that mansion, in St. Paul, Minnesota. Their historical society offers a whole collection of items at their website at http://www.mnhs.org/places/sites/jjhh/. There are a lot of neat old pictures of his family and the house in the collection if you're interested in that kind of thing. 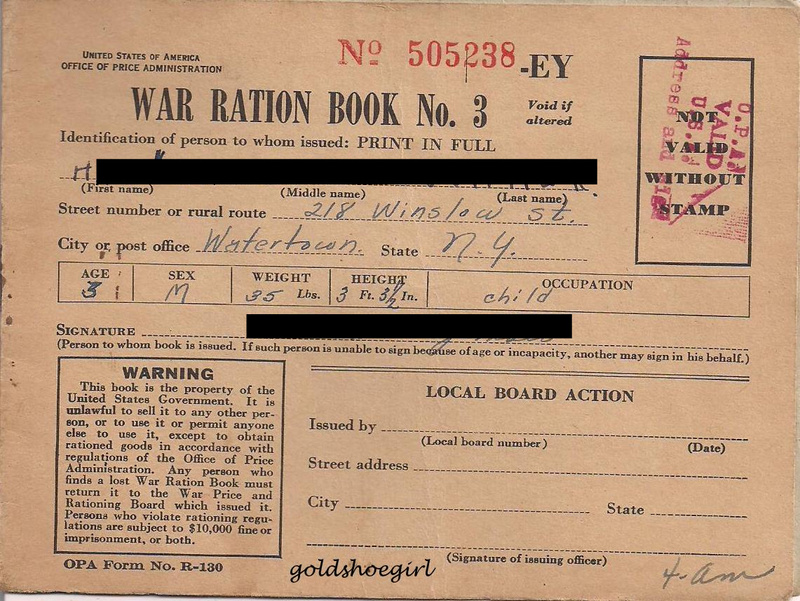 So after I was done with that little adventure (and my husband wonders what I do all day) I started to scan in some World War II ration books that had belonged to my dad and his parents. Here is the front cover of my dad's book. Each family member had their own book. I think it is really cool that it has his age and height and weight. 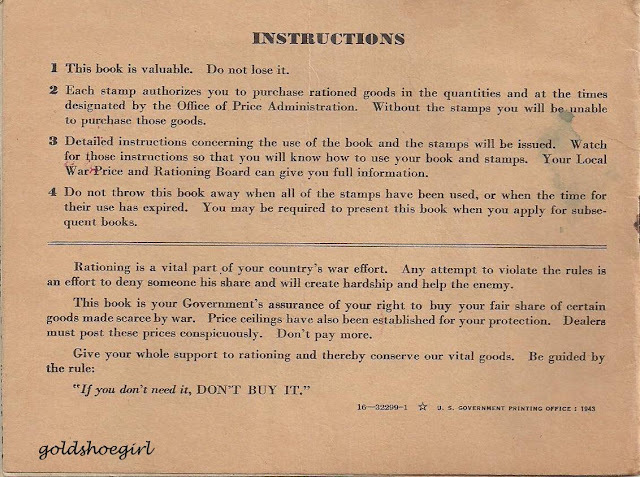 Some of the books still have the original stamps in them, but I was afraid they would fall out if I tried to open it for scanning. Obviously, this message was given during war time when goods and resources were scarce, but I couldn't help thinking how much better off our generation would have been if we had been raised on just these 2 ideas. Save your money and if you don't need it, don't buy it. So simple. How many people would not be bankrupt right now or have lost their homes to foreclosure if they had just lived by those simple principles? 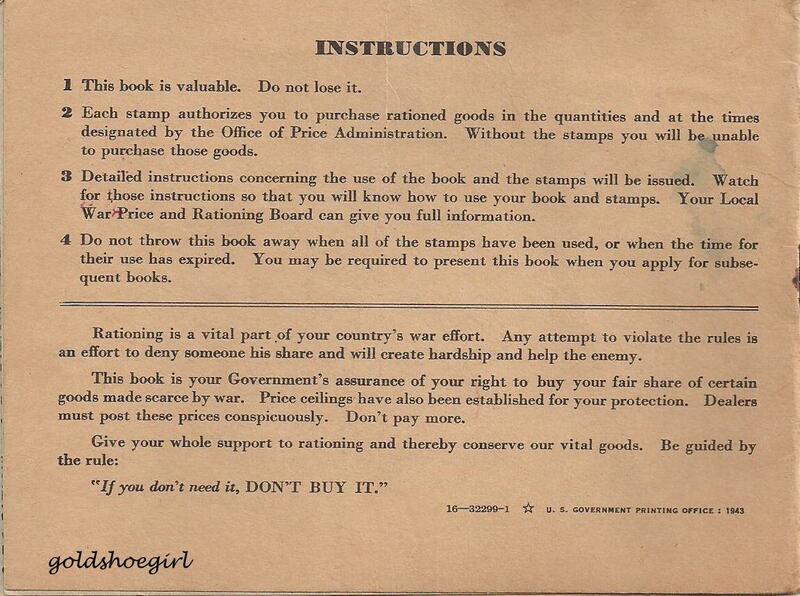 Could you imagine walking around the grocery store with 3 or 4 of these booklets telling you not to buy things you don't need. I bet that would help cut down my grocery bill. Now don't think that I am any good at those two things. I spend more than I save, and I buy a lot of silly things. I wish I didn't. It was just so interesting to me to think how these little things might have affected some of the philosophical spending differences between my generation and my parents and my grandparents. I'd love to hear your thoughts. Do we need more blatant messaging in our schools about saving and being frugal? Could we have avoided the most recent recession with a little more financial discipline? Or are we all just victims to the incessant marketing and advertising that tells us we need things? 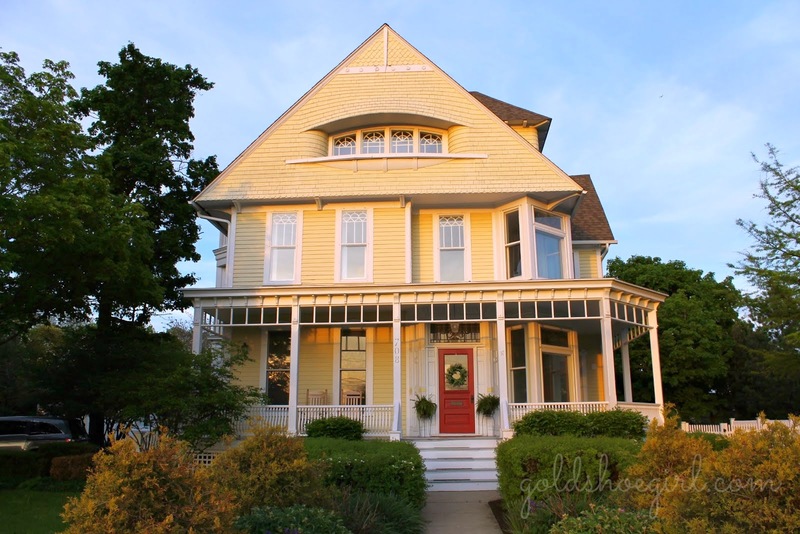 Is it fair to think we can resist the temptation of the Pottery Barn catalog? Easier said that done! I bought some little vintage plates today, (priced very low) and hope to buy a basket I saw there tomorrow. Sigh...I love to find treasures. But yes, we have to get back into saving and paying off debt. And I am trying to do just that. An interesting note, I teach adult education and two students have ask me recently what the world frugal meant. Today another student said it means "cheap". No, not really I said, good with your money, you save it, but not cheap!